This year's exclusive fabric is by Holly Taylor for Moda. The designs truly capture the feeling of being in Wisconsin. 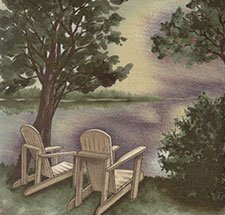 These picturesque scenes will help you create projects that will bring to life your favorite memories of Wisconsin.